I started Acts of Revision on the University of East Anglia’s Creative Writing MA. When it was done, I sent a synopsis and sample chapters to several London literary agents, only one of whom asked to see the whole manuscript. Weeks went by without a reply. Eventually, I phoned to see if he was still interested, only to discover that he had left the agency… and left my manuscript behind on a shelf. The guy who took the call told me he was an agent (he wasn’t, I later found out, he was the departed agent’s assistant) and offered to read the novel. He rang me three days later to say he loved it and offered to represent me. The following week, I was with friends on a “writing retreat” in the forests of mid-Wales when I heard the news that two publishers were involved in an auction for Acts of Revision. By the end of that day a deal was done and, somehow, I’d driven home to Yorkshire without crashing the car. The assistant became an agent … and I became a novelist. Since then, I’ve written four more novels for adults. 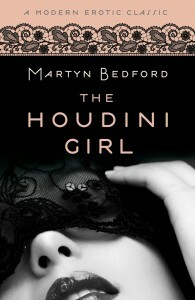 Altogether, my books have been translated into 13 languages and two of them, Acts of Revision and The Houdini Girl, were also published in the U.S.
A fugitive turns up at a young widow’s door. Finn is a draft-dodger. Afraid of dying and opposed to the war which has already maimed his brother, he could see no way out until a stranger slipped him a calling card for an anti-draft network. Now on the run, he has the promise of a new identity and a new life – but, if he is caught, the punishment will be severe. Then he meets Bryher and she takes him into hiding. Thrown together by war, united in grief, they risk everything for one another: a gamble that could make or break them. Chloe Fortune is a dowser. She finds things. Objects, people, places, animals – anything, really. All she needs is a pendulum and a map to swing it over. And something to look for. Ethan Gray is searching. For evidence: a trail, victims – anything to get him closer to the Black Beast, to prove that the “modern myth” of tacky news stories is a living, flesh-and-blood predator at large in the countryside. But when Chloe joins Ethan in his quest, is she being drawn into a fantasy, the product of an obsessive man’s wishful thinking… or into something more real and more dangerous than she could ever have imagined? Out on the moors, the hunt has begun. Fletcher Brandon, aka Red, is a conjurer, an illusionist, a master of deception. A professional magician, he charms wild, impulsive Rosa into his life with simple sleight of hand. But her mysterious death, and the lies that emerge soon after, force Red into a painful realization – even a trickster can be tricked. As he delves deeper into the circumstances of Rosa’s life and death, confronting her hidden past and secret double-life, Red enters a world where betrayal, exploitation and brutality are not simply part of the act. Sometimes, when the lady vanishes, she stays vanished. e-book, Constable & Robinson, 2012. Blood is found smeared on the doors of a vast shopping mall built on a site where a steelworks once stood. Local reporter Constance Amory is assigned to cover the crime – an assignment which plunges her into the biggest story of her life. As one increasingly fierce attack follows another, she begins to unravel a trail of cryptic clues that draw her back into the past, to a Victorian era of social unrest and violent conflict. Before long, she realises that past and present are converging on a tragic and dramatic collision course. Gregory Lynn lives a solitary existence, scarred by childhood trauma and preoccupied with the cartoon fantasies he draws to help him cope with life. In his drawings he exerts control over events – because by drawing things, he sometimes makes them happen the way he wants them to. But then his mother dies and he discovers his old school reports. After years of suppression, the bitter memories of his formative years are reawakened. As he reads what his teachers wrote about him, Gregory remembers who made him the way he is. And he prepares, with the appalling logic of a psychopath, for his acts of revision against them. Note: for my adult novels, I am represented by Jonny Geller at the Curtis Brown literary agency in London.